The site's new deputy publisher. Future New York Knicks star Kevin Durant has joined The Players’ Tribune, the athlete-only site founded by Derek Jeter. Durant, who becomes a free agent next summer, will serve as the Tribune’s deputy publisher. 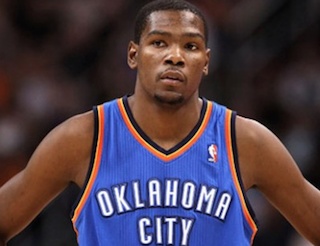 With Durant joining the Tribune, you can bet that he’ll announce his free agency decision on the site. He’s going to look great in orange and blue.